The Truth Behind Soy: Could Soy Cause Acne? Soy. You’ll find it on the shelves these days in many processed goods as an added oil (e.g. soy lecithin), or in the form of burgers, hotdogs, and even nuggets. But you’ll also find it in health food stores, and among widely recommended herbal products. Likewise, some say to avoid it, and others consider it part of a healthy diet or even the foundation of a vegan or vegetarian diet. We all mess up sometimes. That’s life. 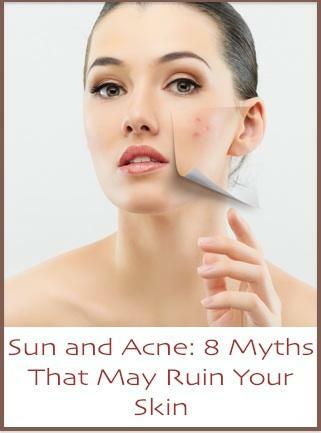 But since your skin is the largest organ of your body, and a vulnerable one at that, it’s best to know what good things you can do to it, and what skincare no-no’s may eventually turn into bad habits that take a mighty toll on your skin. Before we start, did you know that acne breakouts do not come from what you put on your skin and therefore cannot be treated by topical products? Most acne may be traced to fluctuations in hormone levels, especially androgens (male hormones, also known as testosterone), and their power to over stimulate sebaceous glands. As acne results from inflammation caused by sebum-clogged hair follicles (pores) and bacteria, ruling out the factors that cause overproduction of sebum is very important. If you want to break the acne cycle, you need to help the body to balance itself and stop over stimulating the sebaceous glands. Skin is the largest organ of the body. It has many important functions, and our bodies are programmed to protect this vital organ. Unfortunately, sometimes the protection process goes haywire when our sebaceous glands, which produce skin oils (sebum) necessary to keep our skin healthy and supple, start producing the wrong amount of sebum. When not enough oil is produced, our skin begins to age and becomes dry, scaly and itchy. 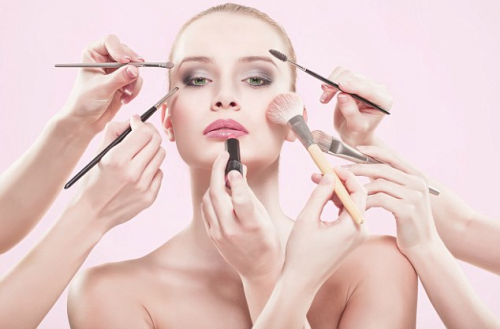 On the other hand, overproduction of sebum results in oily skin and may often lead to acne. Who doesn't want to go a bit overboard with makeup on Halloween? Though this is the time to get away with it, you still may want to do it in a way that does not exasperate your acne. Here are some Halloween tips to look crazy-good but let your acne-prone skin survive the night. If you missed the first webinar (which was overbooked so we had to schedule it again!) on how to create your own ACTION® plan on how to treat your acne, you won't want to miss it this time! 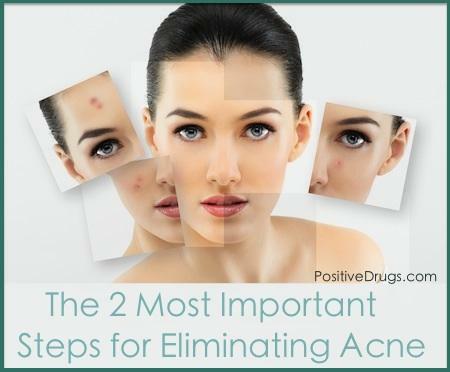 For anyone with acne, no matter how long you've had it for, you will be able to walk away from this webinar not only with an ACTION® plan, but Dr. Agnes Olszewski, CEO of Herborium and natural medicine specialist, will also share with you her secrets that have helped hundreds of thousands on not only breaking the cycle of acne, but how to overcome the emotional effects of having this skincare issue. SIGN UP TODAY! Skin oils (also called sebum) produced by your skin’s sebaceous glands are necessary to keep our skin healthy and supple. When not enough oil is produced, our skin begins to age and becomes dry, scaly and itchy! On the other hand, over-production of sebum may eventually lead to acne. Under normal conditions, the sebaceous glands are a “well-oiled machine” (no pun intended) and they make just the right amount of sebum, which flows up through the pores of the skin to the surface to maintain healthy skin. When excess sebum is produced, it can lead to clogged pores, which accumulate this excess oil, dead skin cells and bacteria and create a perfect recipe for forming whiteheads, blackheads (comedones) and pimples. Therefore, the first step in pimple formation (AKA acne) is the over-production of sebum, and your first visible sign of a potential acne problem is... oily skin. Since an ounce of prevention is better than a pound of cure, it makes sense to start preventing acne at the first sign of a problem: OILY SKIN. While acne in men may not be considered dangerous, it certainly can be very distressing —and is surprisingly common as well. 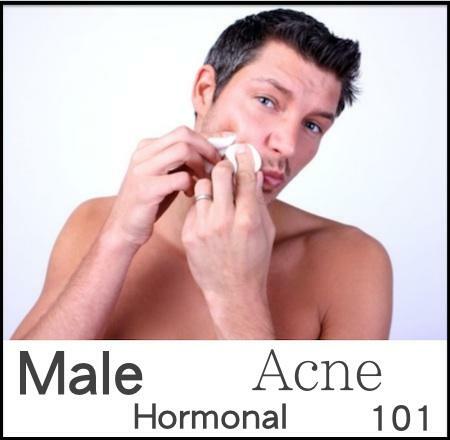 Over 25% of acne sufferers are men and this includes not just adolescents but grown men. In fact, during the last decade the median age of people with acne (including men) has risen by almost 23%, from 20.5 to about 26.5 years of age. In addition, guys have obviously less chance to camouflage acne with make up while at the same time their acne is usually more difficult to treat. The newer generation of men in general tend to be more concerned with their appearance, and more focused (and spending) on their looks including wellness, grooming and attire. It’s hard enough to fight acne, but fighting acne scars is truly an uphill battle. There are many options available to help make scars less visible, but unless you work on treating, and most of all PREVENTING acne from coming, NONE of them will work and be worth your effort and money. Acne marks and scars result from repeated (and extensive) damage to the skin due to acne pustules and papules, pimples, zits, cysts, etc. Each https://www.acnease.com/cms/bo/index.php?ac=add&section=newspimple is associated with an inflammatory reaction which causes some local damage when combating bacteria trapped in the clogged pores of the skin. If you think of a cut on your skin, you get a scab that helps it to heal. Pimples that become inflamed are like little cuts that need to heal; with repeated breakouts there is no time for the skin to regenerate. When you stop acne from coming you will allow your skin to at least partially renew itself using collagen (building blocks for the skin) producing new healthy tissue. As a result, your acne scars will become less visible, and those marks that are more superficial (small and less deep) may even vanish. Are you one of those people that believe if you lay out on the beach all day long, your acne will dry out? Or that if you lather on any type of sunscreen in the morning, it will last all day? These thoughts seem logical, but unfortunately, they’re incorrect. Learning about proper sun protection and sunscreens in relation to acne will help keep you safe and your skin clear! FACT: No, the sun is NOT BAD for you. The sun is healthy if you take the proper precautions. Ultraviolet light from the sun comes in two main wavelengths: UVA and UVB. They are quite different in respect of the risk they create for your health. UVA rays are those that are considered “bad”, which can cause you to burn and eventually, excess exposure may lead to skin cancer. UVB helps you produce vitamin D, which is very important for your overall wellbeing, supports your bones, skin, muscles, heart, eyesight and immune system- but don’t be fooled, excess exposure can be harmful to your skin cells. Moderation in sun exposure and using proper sun protection are keys to your skin and body health since long-term, excessive exposure to sunlight can increase the risk of certain types of skin cancer. Appropriate use of sun protection also plays a major role in helping to combat acne breakouts and heal acne scars and marks.